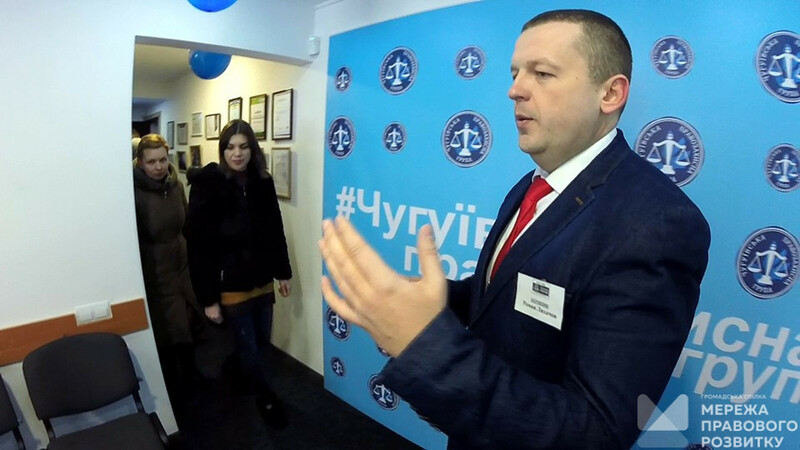 On January 18, 2018, the First civil justice centre in Kharkiv region was opened in Chuguiv. It was created on the basis of the Chuguiv office of the Legal Development Network under the NGO “Chuguiv human rights group”. The event was attended by representatives of the involved parties (local authorities and self-government), the public and the media. At the beginning of the event, Roman Lykhachov, the head of the centre, informed the audience about the history of its creation, the goals and objectives set by its team. 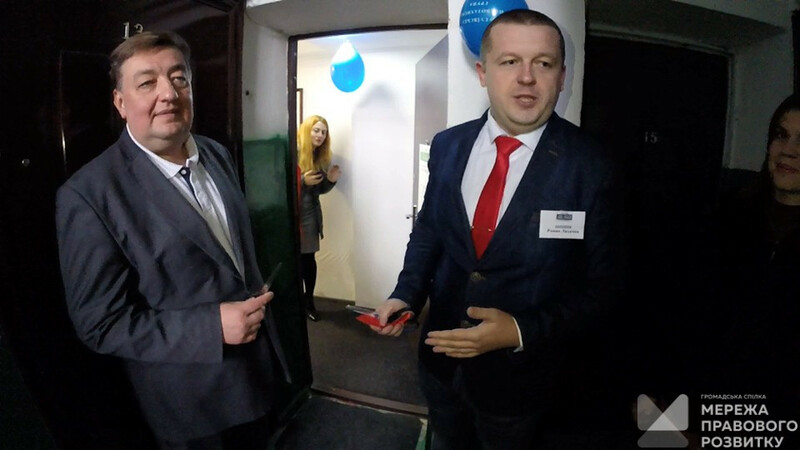 After that, together with the deputy chief of the Chuguiv local centre for provision of secondary legal aid Sergii Rogozin, he cut the festive ribbon, which symbolized the official opening of the centre. 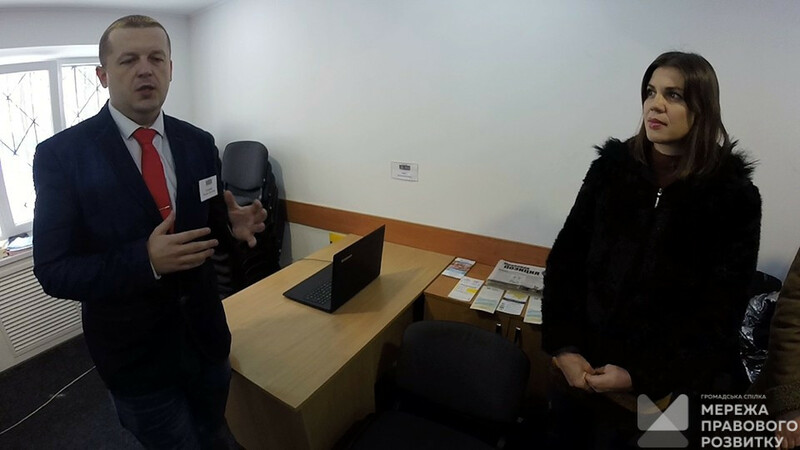 According to Roman Lykhachov, the idea of​creating a centre implies facilitating access for people to justice, administrative and social services, legal assistance and alternative dispute resolution. supporting dialogue at community level to resolve local conflicts and disputes. analysis of community problems, providing recommendations for their solution. 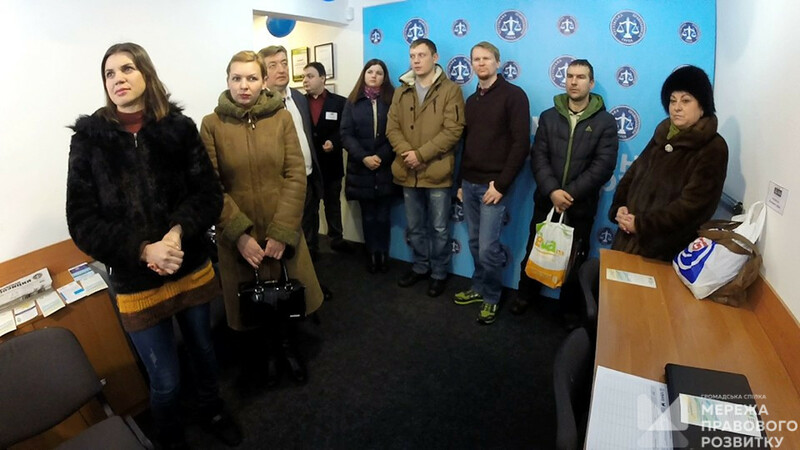 The Centre lawyers Margaryta Lykhachova and Svitlana Kuzheleva presented basic services on the example of the first successful cases. At the end of the meeting, all interested people were able to ask their questions and express their wishes regarding the activities of the center. 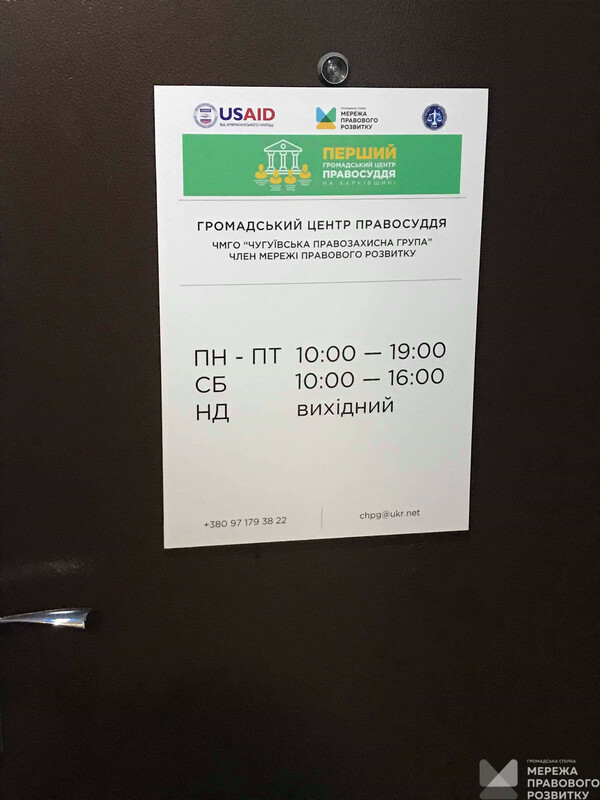 The event was held within the framework of the project “The first civil justice centre in Kharkiv region”, which is being implemented by the Legal Development Network with the support of American people through the United States Agency for International Development (USAID) within the framework of the New Justice Program.